An opinion essay is a form of essay writing through which you present your own perspective on a specific subject by quoting appropriate examples to justify your argument. It will also put forward the views from the opposite standpoint, but the main focus rests on supporting your viewpoint convincingly. A well-written opinion essay requires a generous amount of groundwork. Before putting up your thoughts on the paper, you should decide what opinion you want to propose and list your own views along with appropriate supporting reasons. After completing this basic groundwork, the actual task of writing the essay starts. Like in any properly written essay, an opinion essay will also include an introduction, a main body and a conclusion. To begin with, you should promptly introduce the subject matter and clearly position your opinion on it. It is possible that not every reader will have prior knowledge about the topic discussed. Therefore, writing a couple of sentences detailing the topic on which you give your opinion is useful. Furthermore, to grab the reader’s attention, starting the essay with some startling facts or using an anecdote related to the subject discussed is advisable. It is to be remembered that “First impression is the best impression." Consequently, the main body should discuss the ideas supporting the views presented. A detailed explanation of your opinion can be given by using various examples or by referring to quotes of other people. While presenting your views, you should always address the reader directly to create a personal touch and motivate him. Similarly, to voice out the opinion, using words like “in my opinion,” “I am inclined to," “I am convinced," etc. could amplify the positive impact upon the reader. A good opinion essay will always keep its reader interested by having free flow of thoughts. The free flow of thoughts could be achieved by using proper transitions, which connect the gaps created in the essay while moving from one idea to the other. Words like “additionally," “as well as,” “furthermore," “finally," etc. 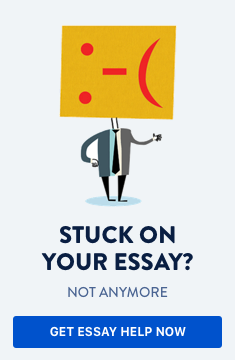 can create a great transition effect and thereby keep the reader hooked on to the essay. Likewise, while supporting the opinion expressed, it is better to share the reasons in the order of the weakest to the strongest. This is because, readers are inclined to better remember the thoughts expressed at last. Besides expressing your opinion, presenting the opposite viewpoints in the main body gives a sense of genuineness to the essay. However, make sure to prevent these opposing views from hijacking the agenda. Finally, while concluding the essay, you should briefly summarize all your views presented in the essay without making it look repetitious. Similar to the introduction, the conclusion of the essay should also leave a strong final impression. Upon completion of writing, the opinion essay must be revised from the reader’s point of view and checked for the smooth flow of ideas, grammar and punctuation. You should also cautiously check for any new ideas or information shared in the conclusion and get rid of it to curb any ambiguity that can be created in the reader’s mind. Once revised and corrected, the opinion essay is all set to leave a lasting memory in the reader’s mind. If you need any help with writing your opinion essay, feel free to place an order below.